What other industries will support the opening? I do not think that only freelancers need a blockchain. There is a lot of work on the Internet that needs to be implemented on the blockchain. I am interested in the question of security, will it be at a high level? Blockchain technologies will provide maximum security and at the same time transparency. What kind of security are we talking about? The blockchain technology is not yet at the perfect level, and it is simply not advisable to speak now about perfect security. There are a lot of problems in the technology itself, starting with security. Yes, indeed, why everyone who hears the word blockchain immediately shouts about absolute security.To absolute security is very far.I except the name of this project do not see a reason anything to discuss here.Is there any information you can put here?In general, freelancing platforms and without blockchain function normally. Nowhere is there a full guarantee of security !!! No one gives such a guarantee. And if they give it is a hoax !!! I agree, there is no such thing as guaranteed security. However I like the idea of the project, lets see what they can do. Of course, the idea of ​​the project and the project itself are very interesting! You should pay attention to it. People's interest is the first indicator of success! Explain to me, what benefits freelancers will get from using blockchain technologies? I think that for many it will be difficult. In my opinion, this is a quick receipt of money for the work done and low commissions. You can earn more or lower prices. Those who use digital currencies will provide an extra boost to the freelance market. This is a good start for the future of the freelance market. According to McKinsey experts, the real number of freelancers in the EU is about 94 million.Only the United States is ahead of Europe in the number of freelancers on than 57 million Americans. Crazy numbers. When you look at these numbers,begin to understand, that you have chosen the right direction in your work. Awesome numbers! I honestly knew that freelancing is common but did not think that so many millions of people work as freelancing. A decentralized control system will ensure the safety of freelancer funds. This is the main problem in this area. There are some details I would like to clarify, does the project have an official telegram channel? I did not even know that the PACT is in social networks, thanks for the useful information. The PACT project is not just presented on social networks, but is still quite active on social networks. It is necessary to give due to the project marketers who lead the project page. They are really great! Notifications on Email & Android App. Download Our Android app and Check Masternode Status from Pocket. This trend will not change in the coming years. The sphere of freelancing will become more and more popular. 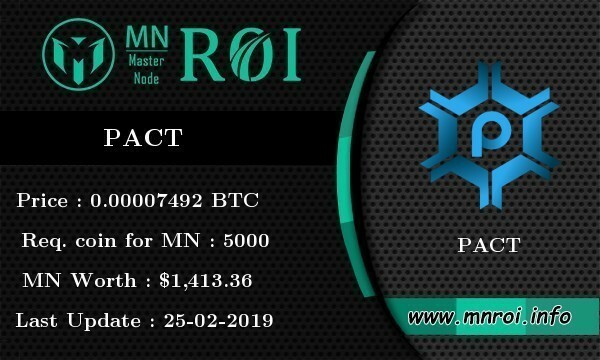 Therefore, the emergence of this platform from project PACT is a very timely step. If the trend continues, freelancing will become even more widespread and project PACT will become known and recognized. freelancing is very popular on the external internet. and I hope that this project will make it popular in the cryptocurrency world. I'm watching your site, and I'm glad that you added the PACT project. I can only say one thing, 100% security you can not guarantee no one, the risk is always there. What's new about the PACT? What new technologies will they give to the world? Granted, this is something new in the freelancing world, in any case it should be popular.